Financing at Volvo and Leavens Volvo Cars London is different from other brands and dealerships. Many consumers appreciate our approach to financing, which is first and foremost focused on customer service. At Leavens Volvo Cars London, our financing experts will not only help you purchase your next vehicle within your budget but also help you find the right financing plan for your needs. Automotive financing is not something to be taken lightly and a car dealership must offer the same level of commitment to their customer when it comes to financing as when they sell their vehicles. At Leavens Volvo Cars London, that's exactly what you'll find. 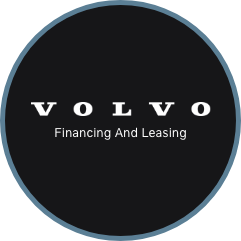 At Leavens Volvo Cars London, financing is simplified and, most importantly, we make sure to provide our clients with an environment where they can find the best financing or leasing solution without ever feeling any pressure. Our financing specialists are your personal advisors and will listen to better understand your needs at every step of the buying process. They will take the time to listen to you and understand your financing or leasing needs. If you are not sure which type of financing is best suited to your needs, we will help you make the right choice by explaining the implications of each proposal in detail. In other words, we are here for you from start to finish at Leavens Volvo Cars London. Our financing specialists will guide you through your purchase, be it a new vehicle or a pre-owned vehicle, and help you find the right financing plan. Contact us today to learn more about our financing offers or to start your financing application. You can also start it online right now.